Having your own allotment is the best way to provide affordable, fresh, healthy fruit and vegetables for you and your family. The hot topic at the moment is to whether to produce them organically using the more traditional growing methods or inorganically using modern sophisticated chemicals. On your allotment plot you have the choice and control over how you want to grow them. The important thing is to make a responsible and enlightened decision based upon all of the up to date information that is available – especially in respect to pest and disease control. Choosing this method means using nature to control pests. This can be done by introducing various predatory insects, mites, parasitic wasps or nematodes that infect the pest with a fatal bacterial disease. This technique is mainly used in greenhouses, but some biological controls, especially pathogenic nematodes, can also be used out of doors. This is the non-organic method of using pesticides to control pest. The pesticides directorate website should be consulted when deciding which products to buy and use. Without a doubt the Supermarkets have had and influence on things by demanding that all fruit and vegetables have to conform to an exact size, shape and appearance. This isn’t strictly as nature intended and this is where the allotment plot comes to our rescue. We are all familiar with knobbly potatoes and carrots that are less than straight, but they, they taste great! The NSALG has been the lifeblood of the Allotment movement for decades and it has had to adapt to many changes in its lifetime and we want to support and encourage allotment gardeners to get the most enjoyment out of their plots whilst growing the best produce possible. Is it better for your health if you eat organic food? It certainly is if you grow it yourself. Apart from knowing that it is completely free of pesticides and fungicides the exercise that you will get from cultivating the ground, tending the crop, harvesting it , and finally having to carry it home will definitely keep you fit and healthy! The question of whether organic food tastes better is more difficult to discuss because most of us are familiar only with the fruit and vegetables available today in the high street, and these have been harvested some time before they are in prime condition. They also have stronger, tougher skins since they have to be able to withstand the rigours of machine harvesting, packing, refrigeration and transportation over long distances. Food grown locally and picked at the peak of condition, taken to the kitchen and eaten within hours is a totally different experience. The seasonality of crops has to be taken into consideration. It is a well known fact that Brussels sprouts and parsnips need to be frosted to make them sweet enough for the table. To eat them before denies you their real flavour. I have been gardening organically for about thirty years. Although I have had to use chemicals professionally for some of this time, I gave up using them in my own garden from a desire to create a safe environment for my two young daughters. It also seemed a reckless act to destroy wildlife that had been put on earth to serve a useful purpose e.g. although aphids may be a major pest for the gardener they are a prime source of food for ladybirds and the newly arriving migrating birds in the spring. By maintaining simple food chains like these you can extend the natural balance within the garden. One of the major stumbling blocks in the promotion of organic gardening has been the fact that people regard it as an “all muck and magic” approach with very little solid scientific evidence to support it. I should like to dispel some of the misconceptions surrounding organics. It does not necessarily mean hauling wheelbarrow loads of manure to dig into the garden. It does not mean that to prove you organic credentials you have to dress in a kaftan, wear open toed sandals and have old tyres, sheets of plastic and rotting carpets all over the place. It does not have to mean that you will break your back constantly digging and weeding. And it certainly does not mean the use of home-spun remedies that are not always scientifically proven or efficient. Gardening to modern organic standards such as those of the Soil Association provides us with a set of guide lines that have been devised to ensure that the plants and soil in our gardens are cared for in a way that is beneficial to both us and the environment. The first recommendation is to carry out a soil analysis. This will determine the soil type e.g. clay, loam, sand, and also its fertility. The results of this test will tell you what adjustments if any need to be carried out in order to maintain the soil in a healthy state. You will be provided with a profile of the soil’s structure and its nutrient content and what steps to take to remedy any deficiencies that may be present. Manure or homemade compost isn’t the only sources of organic matter to improve the soil. Green waste is becoming more readily available .This is made by most local authorities from all of the hedge trimmings, grass clippings and any other plant material that comes out of the garden. They are composted under strict controls to high temperatures and because all nasties are destroyed in the process it is a safe and clean product to use in the garden or on the allotment. There are also preparations that have been approved by the Soil Association, such as Maxicrop seaweed fertiliser or Rooster pelleted chicken manure, which can be used to raise fertility. A well managed organic garden does not have to be a hippy paradise. No one need ever know your garden is organic- not by looking at it- because it can look like everyone’s idea of a conventional garden. The only difference will be that there are not lots of nasty chemicals lurking about to endanger life - animal or human - or to pollute the atmosphere. not that much more intensive than in non- organic gardening. So all in all I think it is well worth the effort. How do we manage pest control without the use of chemicals? The use of predators is probably the most important step forward in greenhouse management since the development of heating systems. There are various predators available to control all the different types of pests and these work all day and every day. Outside in the garden there are natural predators such as ladybirds, hoverflies, wasps and lace wings. One of the detrimental effects of pesticides is that they can harm innocent creatures as well as the pests. Nature left to her own devices balances things out in her own way. 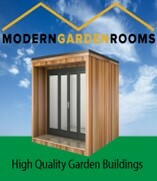 With natural predators at work the gardener can have twenty- four hour protection for free. Organic gardening methods are not only applicable to fruit and vegetable growing. They are just as effective in the ornamental garden. In fact, they can embrace the whole of horticulture. On the wider front they make sense because their use reduces environmental pollution. The organic standards promoted today are designed to make us aware that the overuse of manures and fertilisers has the potential to pollute all waterways. The standards also help us to appreciate that by caring for the soil we are creating strong conditions in which plants can flourish. 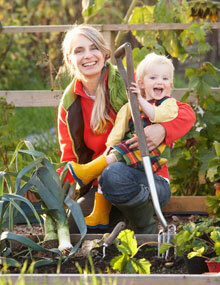 In a nutshell organic gardening is healthy, safe and often gives better quality and taste.